We have re-roofed the hospital, renovated its operating theatre, fitted solar panelling and provided a new water pump and generator. The charity also funds the ongoing repair and maintenance of St Anne’s Hospital. Without the Friends of St Anne’s, the Hospital would have no ambulance, and no means of transporting supplies. 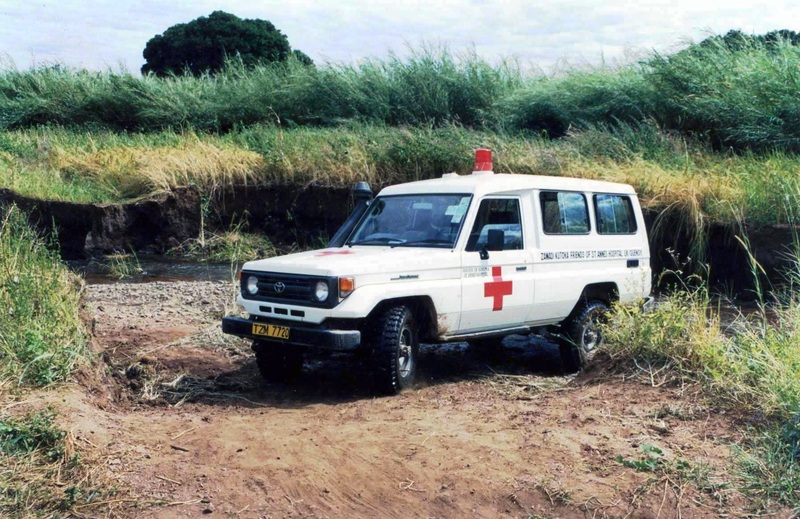 The charity purchased its Landcruiser Ambulance and its lorry, and funds the maintenance of both. Doctors, and nurses, community health and outreach workers, all receive basic and specialist training thanks to the money which the Friends of St Anne’s Hospital puts into their support programme. Essential drugs, basic medical supplies and equipment - from opthalmic and dental instruments, surgical kits and operating gowns to tents and camping equipment for use as mobile clinics – all are provided from our funds. Books, furniture, clothes, stationery and typewriters for around 60 schools across Ruvuma Diocese are transported by container from the UK to Tanzania every year with the help of donations to Friends of St Anne’s. Household goods, sewing machines and materials for women, walking frames and gardening equipment for the disabled and elderly, bicycles to enable teachers and hospital staff to get to work – the charity provides all this and more.